To get to Cappadocia, there are daily flights from Istanbul to Kayseri, in the heart of the region. Ankara is about a 3-hour drive. 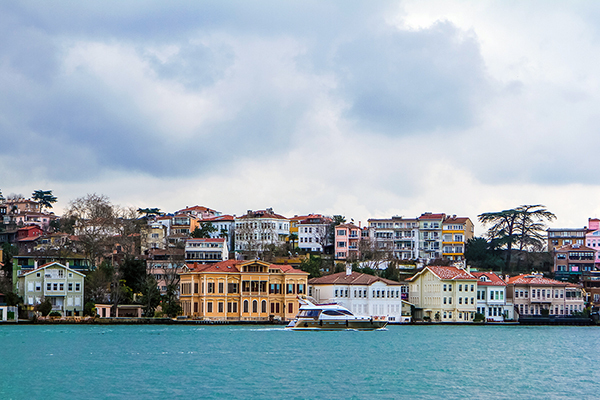 Istanbul is about a 10-hour drive. 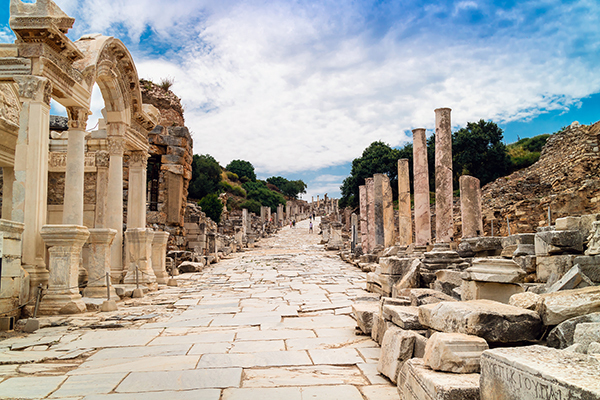 The more comprehensive tours of the western half of Turkey will do a semi-circle from Ankara, through Cappadocia, down to the coast and on to Istanbul. See my last post Cappadocia Above and Below for descriptions of other things to see in Cappadocia. 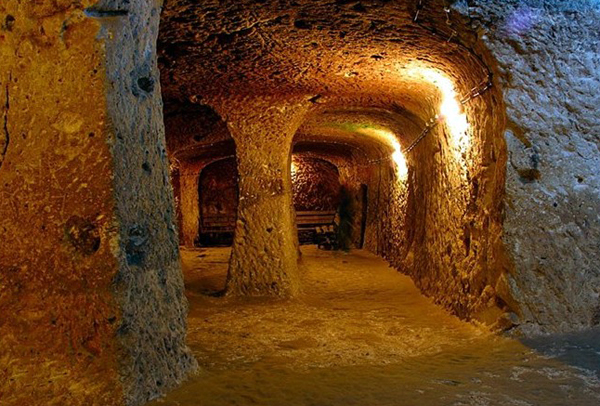 Click to see our tours that include underground visits in Cappadocia. Cappadocia is a region in central Turkey known for surreal sights, rich history and laid-back hospitality. Heavy volcanic activity followed by millions of years of erosion of the soft volcanic ash deposits and the harder layers of basaltic lava which covered them left over a hundred square miles of constantly surprising landscapes, sometimes comical, sometimes stunningly beautiful, often just plain weird. 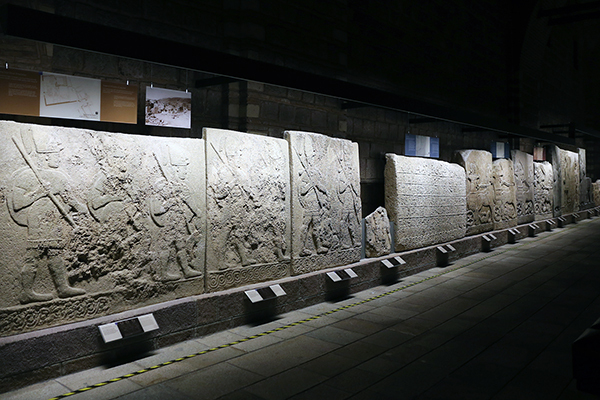 Historical records tell us the Hittites lived in the area around 3,000 years ago, but it was certainly inhabited long before that. Early Christians settled there in the fourth century, perhaps earlier, because of the remoteness from the Roman centers along the coast. Three major figures in Christian history, the Cappadocian Fathers – St. Basil, St. Gregory of Nyssa and St. Gregory of Nazianus – came from Cappadocia and were involved in the establishment of monasteries there. 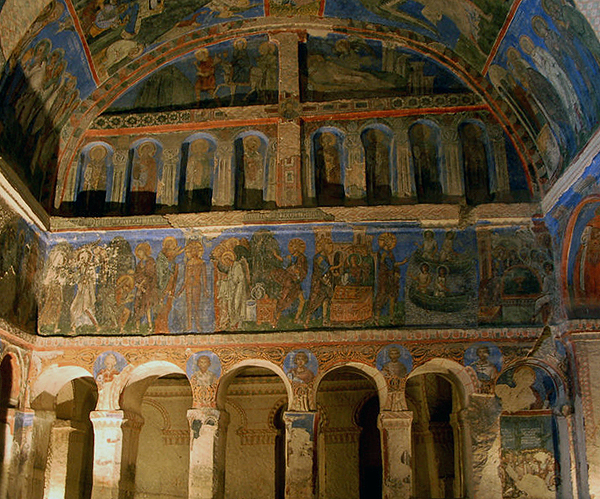 Scores of rock-cut, frescoed, Byzantine churches, chapels and monasteries are tucked into the crazy landscape like precious jewels. 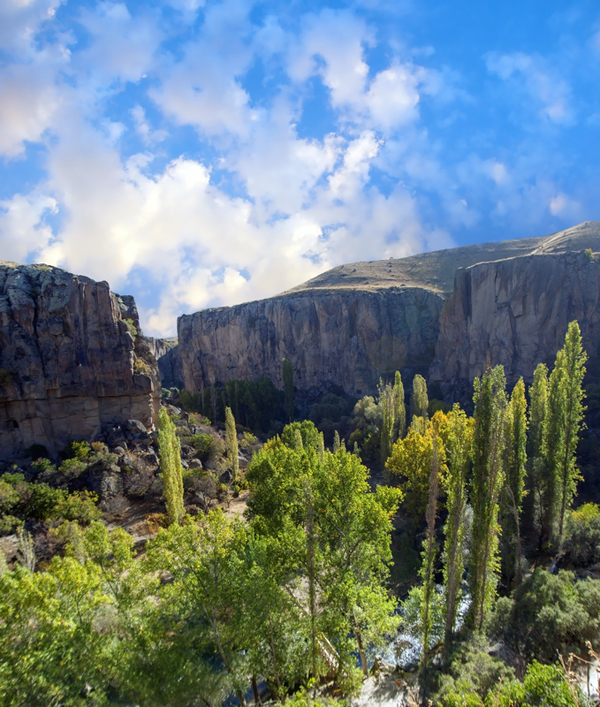 About 3.5 miles north of Goreme is Avanos, a pretty town on the Kızılırmak River. 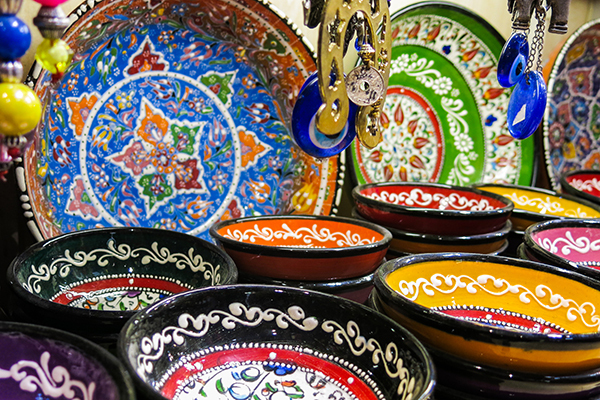 Go there to buy the local pottery, which has been the town’s main industry for thousands of years. 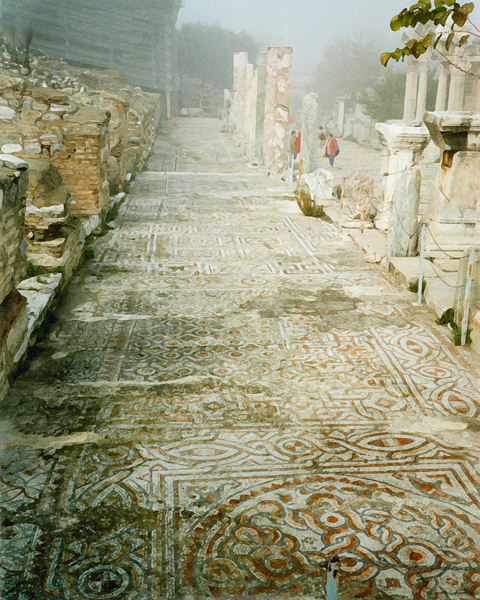 Head east about 3 miles off the road to Avanos to find the Zelve Open Air Museum. Zelve consists of three adjoining valleys, where you’ll find cone formations and fairy chimneys, similar to Goreme, but nowhere near as many churches. Zelve gets far fewer tourists and what it lacks in frescos it makes up for in tranquility and open space. Very good trails and signage run through the valleys. When you’re exploring Zelve, think about the people who lived in the rock-cut dwellings right up until 1952. 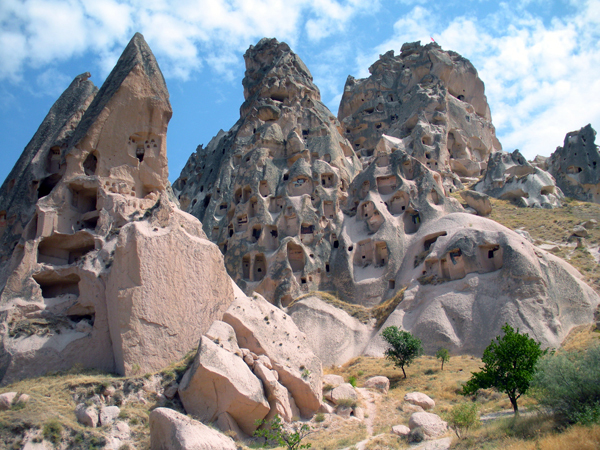 The underground cities of Kaymakli and Derinkuyu are about 18 and 24 miles southwest of Goreme, respectively. I’ll write more about these in my next post. 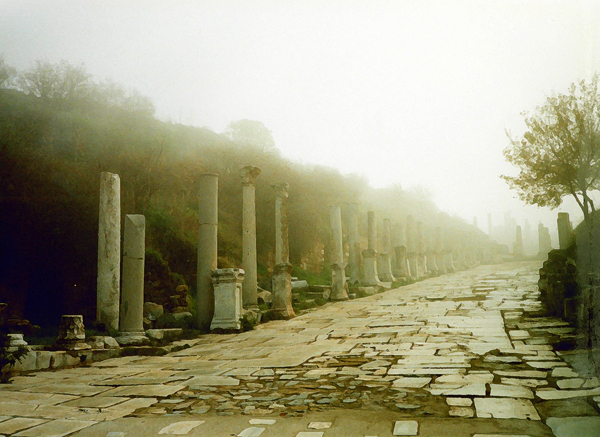 On the way to Ihlara, stop at the carefully preserved Ottoman Greek town of Guzelyurt. 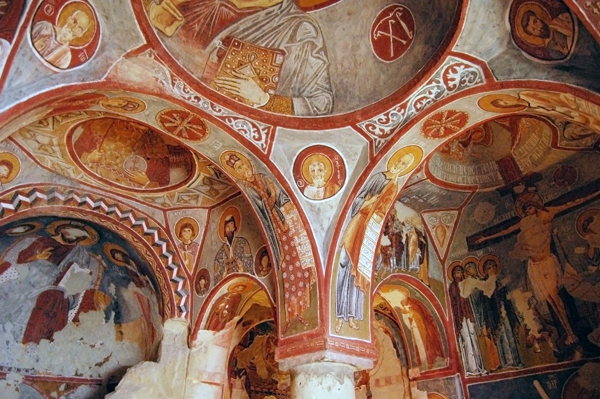 Cappadocia was historically inhabited by Christian Greeks until a population exchange after World War I moved Greek-speaking inhabitants to Greece and Muslims living in Greece to Turkey. 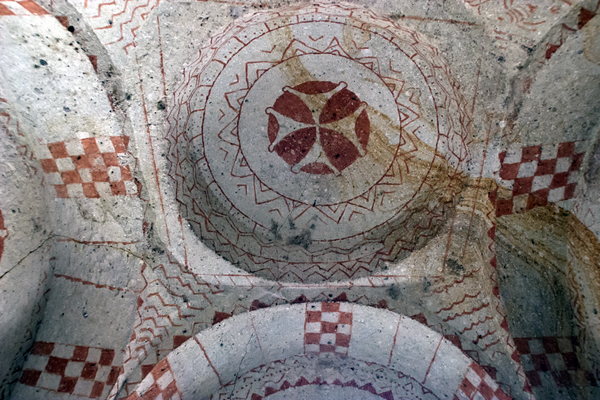 Guzelyurt also has a small underground city. For Cappadocia accommodations, Goreme, Urgup, Uchisar and Avanos are most central. Goreme has the most tourist facilities but we prefer the slightly removed towns of Urgup and Uchisar, which are quieter and tend toward higher quality services. 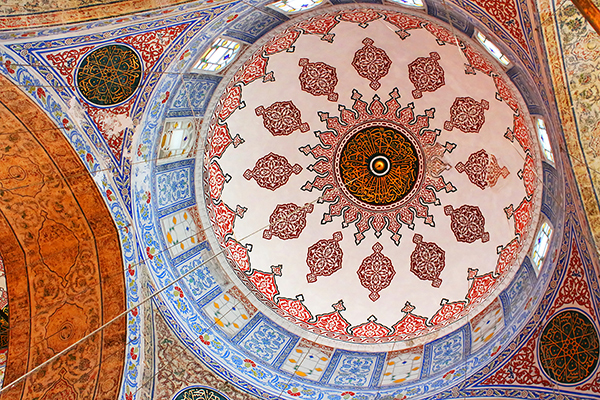 Click to see our Turkey tours that include Cappadocia.